Read the latest here in the Eneclann newsletter, where this week we talk about Genealogy Day 2014, The latest downloads available at Eneclann, The battle of Knockdoe and of course our research tip of the week and so much more. remember if you have not yet signed up for the Eneclann newsletter you can simply do so by clicking on“sign up to our Newsletter” at the top of our website page. 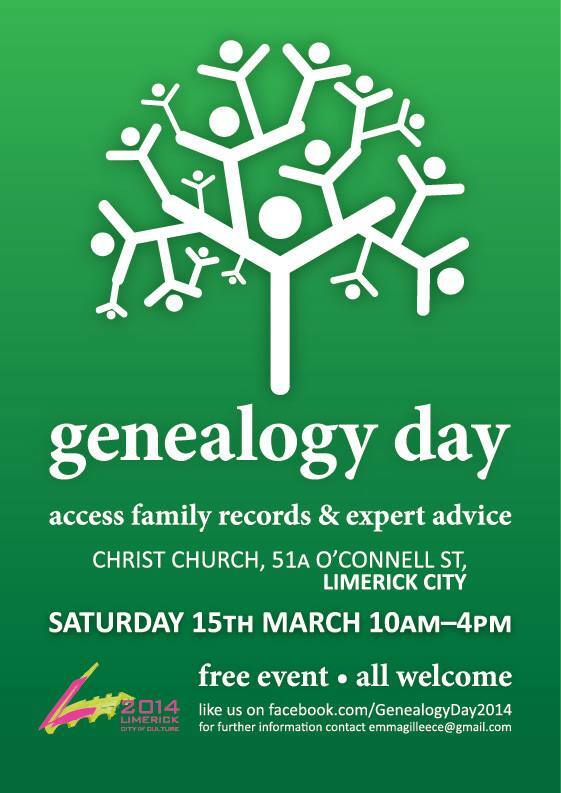 Eneclann are delighted to be apart of such an exciting event this weekend,where our very own Brian Donovan and Fiona Fitzsimons will be giving their expert advice this Saturday the 15th of March at Genealogy Day 2014 in Limerick City,Read all about the event by clicking on the image below. 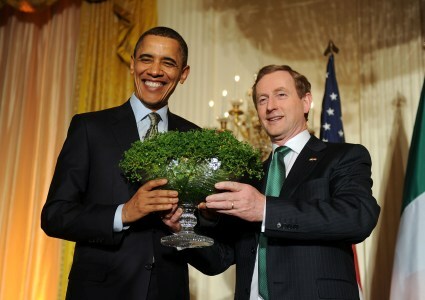 Irish Americans have defended our country through times of war, strengthened communities from coast to coast, and poured sweat and blood into building our infrastructure and raising our skyscrapers. Some endured hunger, hardship, and prejudice; many rose to be leaders of government, industry, or culture. Their journey is a testament to the resilience of the Irish character, a people who never stopped dreaming of a brighter future and never stopped striving to make that dream a reality. Today, Americans of all backgrounds can find common ground in the values of faith and perseverance, and we can all draw strength from the unshakable belief that through hard work and sacrifice, we can forge better lives for our families and ourselves. We now have 22 download releases available over on our website. Long-term readers of this newsletter may remember that between 2009 and 2011, Eneclann and Rubicon worked on the Irish Battlefields Project. Historians from Eneclann and archaeologists from Rubicon researched 250 major battles in Ireland between the 8th and 18th Centuries. Using contemporary sources including maps and drawings we successfully identified 130 of these battlefields across Ireland. We intend to publish the Irish Battlefields in 2015, and will tell you all about it as it happens. Right now though, for those who would like to get a taste of what’s to come, check out this blog post by Damian Shiels and John Jeremiah Cronin. The battle of Knockdoe was one of the greatest battles ever fought on Irish soil, but is now forgotten because of the passage of time. During research we encounter many variants in Christian names. Sometimes these are obvious, like Annie/Nannie, Catherine/Katie/ Margaret/Peggy. This does not even begin to take into account the deliberate use of a different name in families. The use of alternate names can really throw a researcher off the scent. People often want to honour the family tradition of naming a child for their father, but don’t want the confusion that can ensue by having two individuals of the same name within a household. Sometimes the second, or as in my own family, the third given name of the child is the one used. If your searches are coming up negative, you may have to factor in the possibility that the name in use was not in fact the given name. The big challenge of course is trying to second-guess out our ancestors. For the third year running Eneclann Director Brian Donovan spoke last week at Trinity College Dublin to the M.Phil postgraduate course in Public History & Cultural Heritage. Brian delivered a talk to the students about Eneclann and how we provide access to Irish history to the public, and help them discover their personal and family history through access to archives online and expert research support. “There has been a revolution in Irish family history over the last decade with millions of historic records now available through websites like findmypast, What does this transformation mean for the traditional mediums for public access to history, like libraries, archives and universities? What is the role of the private/commercial sector? And how do we foster innovation”? There was a lively discussion chaired by Dr. Ciaran O’Neill, which overran for some time and was enjoyed by all. 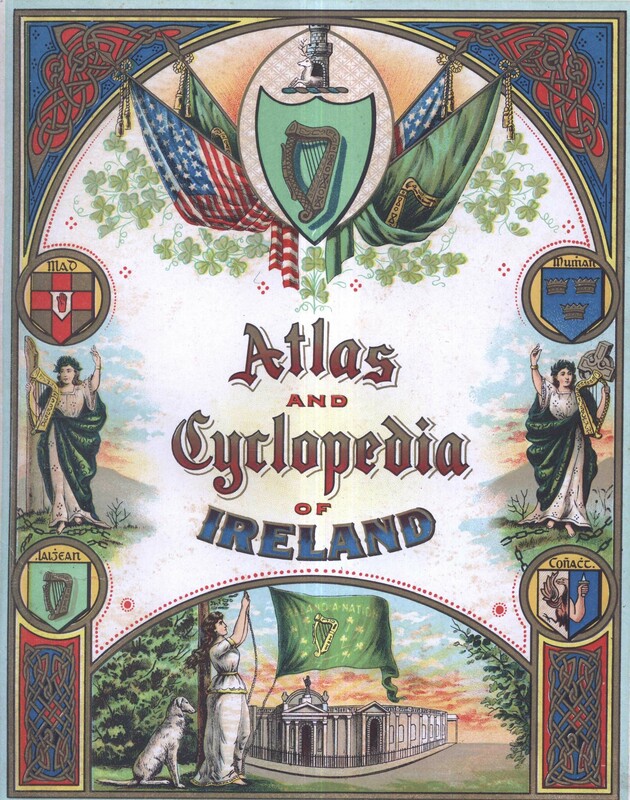 This entry was posted in News, Newsletters and tagged advice, archive, competitions, email, Eneclann, Family History, Genealogy, genealogyday2014, Ireland, Irish, news, newsletter, newtitledownloads., online, publications, research, subscribe, subscription, The battle of Knockdoe.